Power and distribution transformer: These transformers are used for transmission and distribution of power. Autotransformer: These transformers are used to change the voltage within relatively small limits and are used for starting AC motors, and so on. Transformers for feed installations with static converters: These are used for converting AC to DC and also DC to AC. The first one is used for rectification purposes and the second one for inversion purposes. Testing transformers: These are used to conduct tests at high and ultra-high voltages. Power transformers for special applications: These are used in furnaces, welding and so on. Radio transformers: These are used in radio engineering and similar purposes. From frequency range point of view, transformers can be divided as (50–400 Hz) audio transformer, wide band and narrow band transformers and pulse transformers. 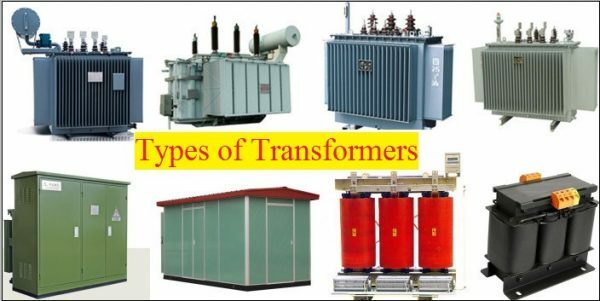 Transformers can also be divided depending on the number of windings such as two winding (conventional) and single winding known as autotransformer.